Great T-shirts out there at Lolla on Saturday; while Great story bro. 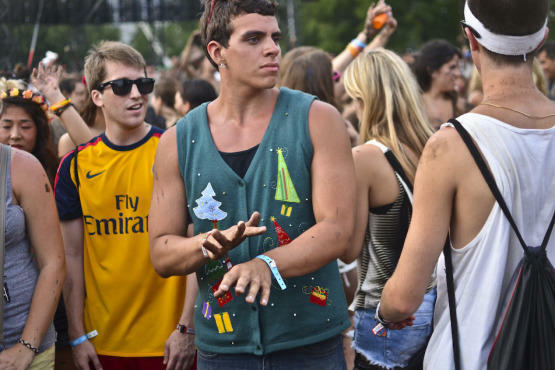 is a classic, I gotta give props to the guy who wore an ugly Christmas sweater. He was wise enough to make it an ugly Christmas vest, but I'm pleased to say that even in that format, the joke still works. I love your thing, man.